The reverse circular legend contains the place and date: 'In the name of God! 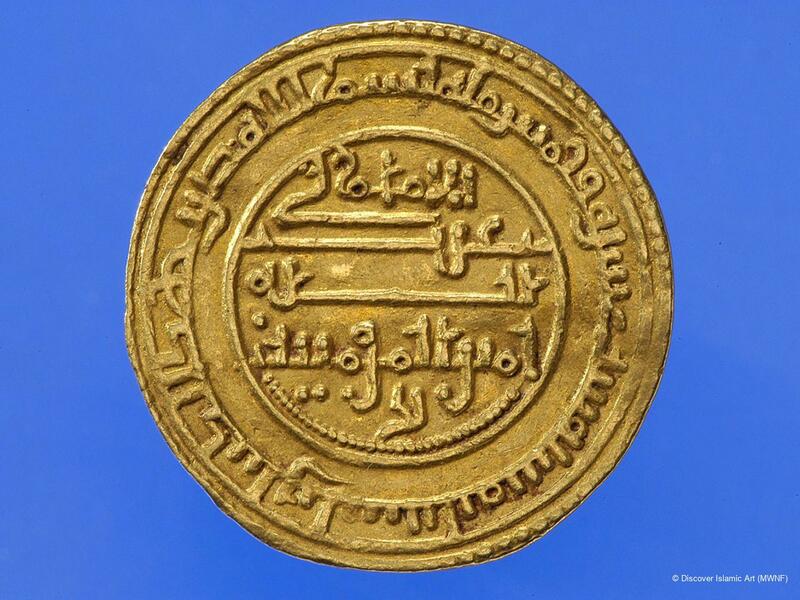 This gold coin was struck in Ishbiliya in the year five hundred and sixteen.' 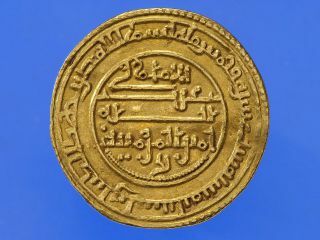 The inscription of the reverse central field refers to the Abbasid caliph in Baghdad, calling him Imam ‘Abdallah, who was al-Mustarshid (r. AH 512–29/ AD 1118–35) at that time. 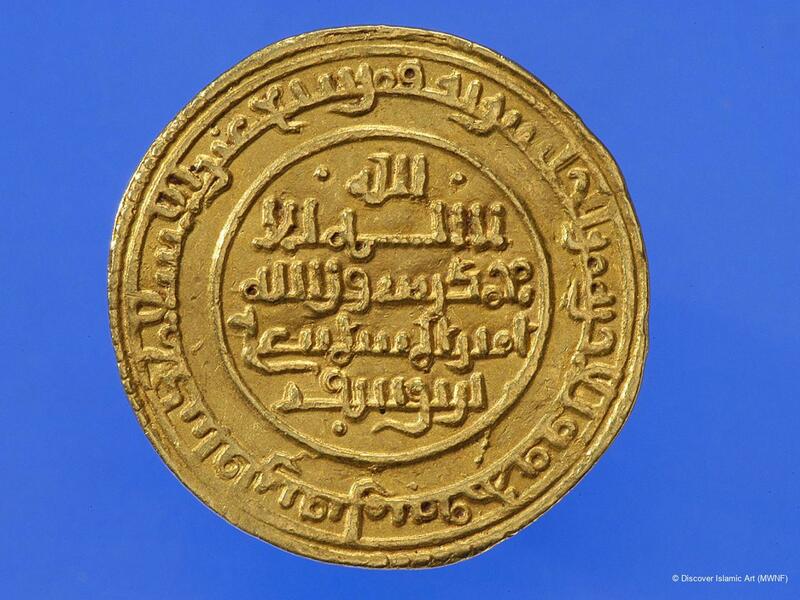 Islamic gold dinar of the Almoravid Amir ‘Ali bin Yusuf. The inscriptions consist of Qur’anic quotations and the name of the amir. The reverse circular legend refers to the place and the date where and when the coin was struck: in Ishbiliya in the year AH 516 / AD 1123. The coin is dated on the reverse. This coin was part of a treasure found in Gotland, in the parish of Visby, Sweden, and allotted to the museum in 1844. 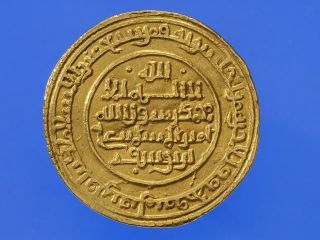 The inscription on the reverse names the place Ishbiliya (Seville). Brisholm, K., “An Archival Study on Medieval Islamic Coinage”, Nordisk Numismatisk Unions Medlemsblad 9, 1986, 209–17. Hazard, H. W., The Numismatic History of Late Medieval North Africa, Numismatic Studies 8, American Numismatic Society, New York, 1952. Tornberg, C. J., Numi Cufici, Uppsala, 1848. Prepared by: Friederike Voigt (all information provided by the Royal Coin Cabinet).Friederike Voigt (all information provided by the Royal Coin Cabinet). Friederike Voigt has an MA in Iranian studies, history of art and social science and is currently working on her doctoral thesis on wall tiles in architectural decoration of Qajar Iran. Since 2004 she has been a project-related curator at the Museum for Mediterranean and Near Eastern Antiquities in Stockholm for Museum With No Frontiers. She studied at Humboldt University in Berlin, at the University of Tehran and archaeology at the University of Halle-Wittenberg. She taught Persian language at several universities in Germany. She was an assistant curator at the Department of Near and Middle Eastern Cultures at the Museum of Ethnology, State Museums of Berlin. Her main fields of interest are the material culture of Iran, especially of the Qajar period, and contemporary Iranian art.